Kansas guard Lagerald Vick (2) puts up a three over Long Beach State guard Noah Blackwell (3) during the first half, Tuesday, Nov. 29, 2016 at Allen Fieldhouse. 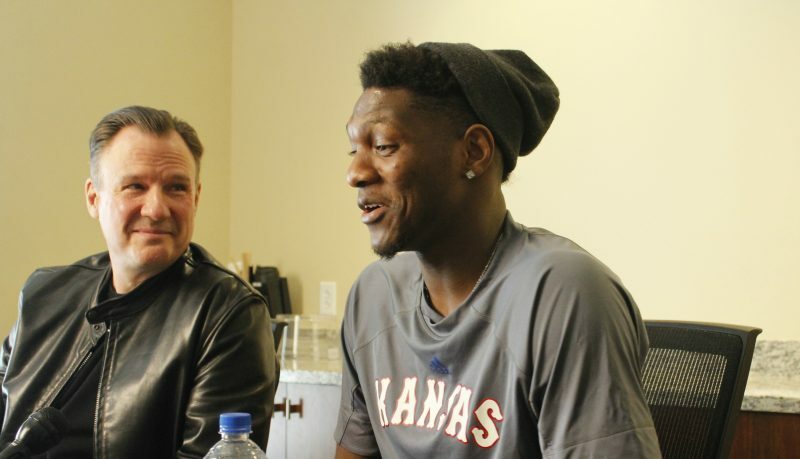 Lagerald Vick might make it impossible for Kansas head coach Bill Self to remove him from the starting lineup. 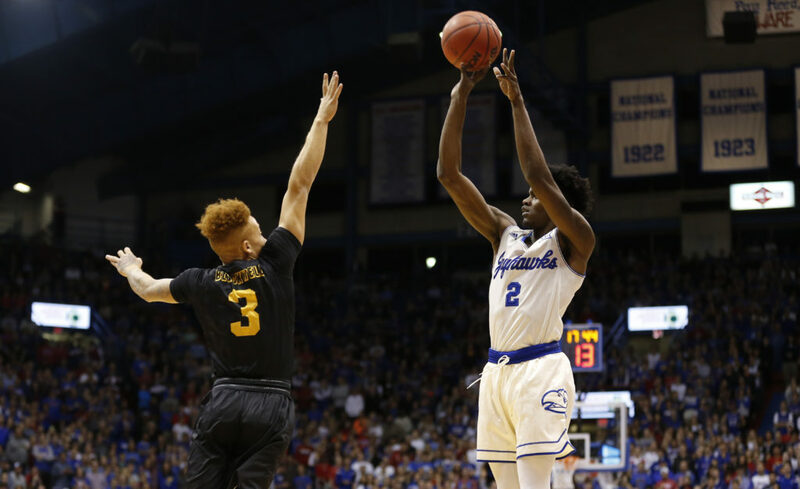 Starting for just the second time in his college career, Vick led KU to a 91-61 thumping of Long Beach State by scoring a new career-high 23 points while not missing a shot from the field. 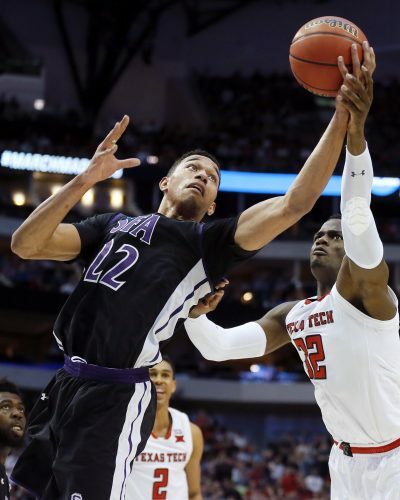 The 6-foot-5 sophomore from Memphis, converted all nine of his attempts and gave the Jayhawks energy all over the floor against a well-traveled 49ers squad that already has zig-zagged across the nation to play at Wichita State, North Carolina, Louisville, UCLA and Washington. The Kansas backcourt again won the night, with Vick playing the starring role and Svi Mykhailiuk (14 points), Devonté Graham (12 points, four assists) and Josh Jackson (13 points, four assists) helping him out. 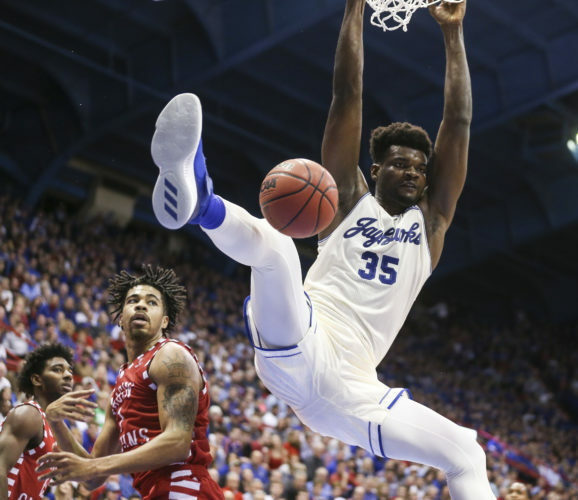 Still, KU at least found some production inside between Udoka Azubuike (eight points, seven rebounds) and Carlton Bragg (six points, six boards). • The game turned when: Jackson began taking over midway through the first half. 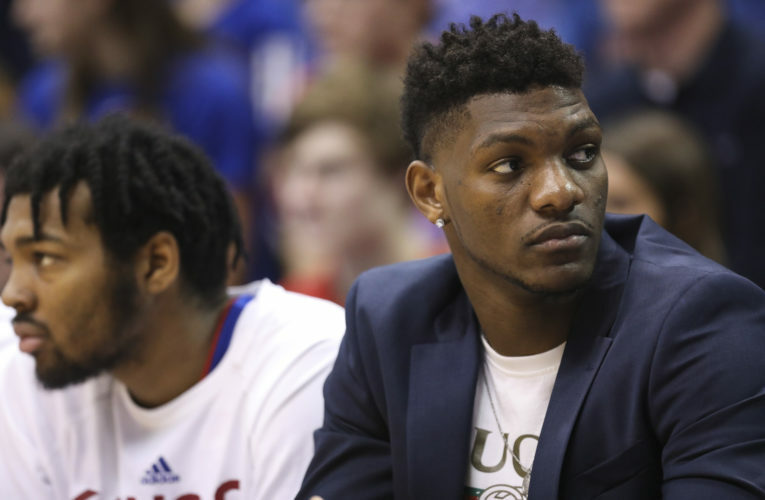 The freshman wing already had made a three-pointer and gone out of his way to try and get freshman big man Azubuike involved inside — though that didn’t work out as he hoped. When Long Beach State cut the Kansas lead to 14-13, Jackson had seen enough. The 6-foot-8 guard responded to a Justin Bibbins three by going and getting a layup. 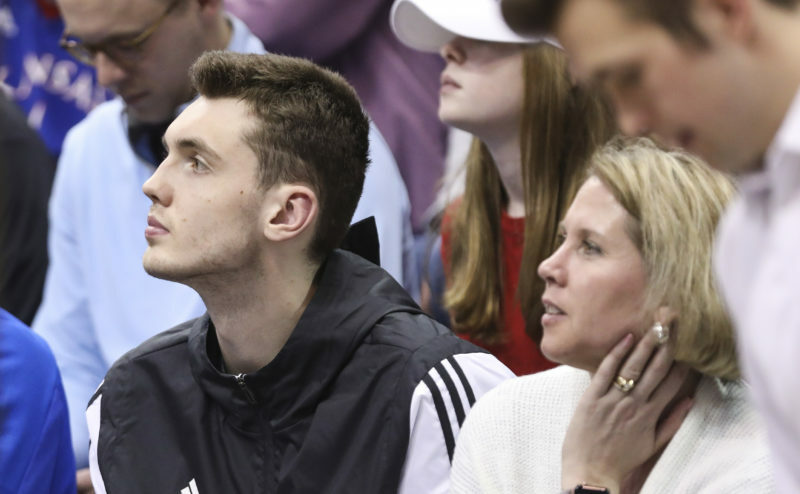 Then Jackson went back into distribution mode, bouncing an unthinkable fast-break pass through three 49ers for a Mykhailiuk lay-in. Kansas followed up those easy baskets inside with three-pointers from deep, courtesy of Graham and Mykhailiuk. Then Jackson decided to join in the downtown display and nailed his second trey of the night to cap a 13-0 run and keep Kansas well ahead of LBSU for the remainder of the rout. • Offensive highlight: This category remains up for debate. And the answer really depends on your personal preference. An old-fashioned bounce pass from Jackson served as the first play to get the fieldhouse buzzing. Jackson’s aforementioned dish defied logic. As Loren Jackson swiped at Jackson, he extended his long right arm around the defender and put just enough spin on his assist to Mykhailiuk to fool two more Beach defenders attempting to get back in transition. Before anyone could figure out if Jackson actually pulled off the look no one thought possible, Mykhailiuk had scored. Not much later in the first half, the man of the night, Vick, found himself in possession of the basketball with no one in between the wiry sophomore and the rim after LBSU gifted him a turnover. Vick couldn’t miss, so he decided to challenge himself a little and executed a 180-degree reverse jam behind his head. • Defensive highlight: Little stood out for Kansas on the defensive end of the floor, but try telling that to Long Beach State. 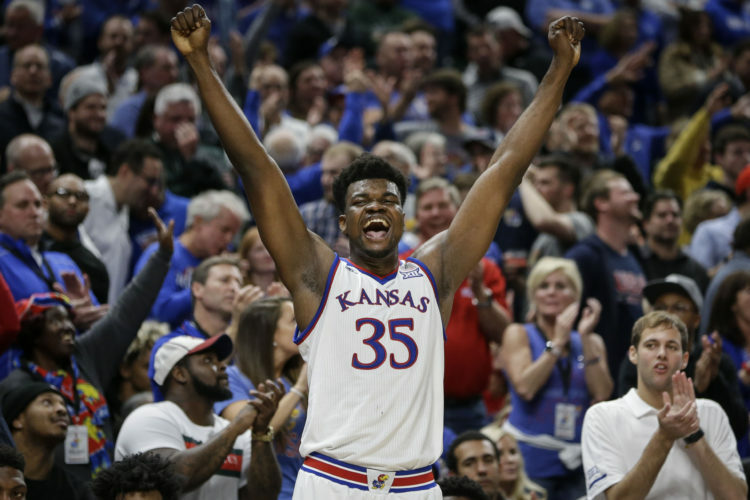 The visitors shot just 8-for-24 in the first half and only made 23 of 57 of their shots on James Naismith Court, as KU’s superior talent mostly took away the 49ers’ easiest looks. • Key stat: Three-point shooting. The Jayhawks, who entered the night hitting just 35.5 percent from downtown, saw too many open looks to pass up against Long Beach. With Vick, of course, leading the way with his 4-for-4 marksmanship from behind the arc, Kansas nailed 14 of its 26 three-point tries — 54 percent. Somehow, the 49ers left Mykhailiuk alone enough for him to take eight from deep, and the junior wing knocked down four. • Up next: The Jayhawks (6-1) will be back in Allen Fieldhouse Saturday to take on Stanford, coached by former KU great Jerod Haase. The matinee tips at 2:30 p.m. on ESPN.